Australia’s Anti-Muslim groupies are aquiver with excitement at the announcement that the vocal ant-Muslim Dutch MP Geert Wilders will be coming down under. ABC Radio has sounded the trumpets for his arrival, it’s not advertising it’s news; and ABC TV1 hss honoured him with more coverage. Soon Alan Jones, David Oldfield, Chris Smith, Andrew Bolt and every other redneck shock jock will be salivating at the prospect of having him on their radio show. Then you’ll have the likes of Piers Akerman, the Australian, the Telegraph, Miranda Devine singing his praises as the voice of reason. Facilitating his tour of duty for the cause against Islam will be South Australian Senator Cory Bernardi, member of the Right Wing faction of the Right wing of the two major Right wing parties; the Liberal Party. Cory Bernardi is no friend of Islam, he’s made no secret of it, even though he still does prefer to keep one foot in the closet. They must have pumped him up with some strong coffee at radio station MTR that morning, because he was more candid that day than he prefers to be on either of his 2 web sites. "Islam itself is the problem "
http://www.adelaidenow.com.au have preserved his comments for posterity. So evidently, Cory Bernardi has other things to say behind closed doors, where he doesn’t sense this effect toward “silencing’. But rest assured, his groupies have heard his dog whistle, they can hear it! Cory Bernardi sees Islamists everywhere, and he’s very concerned for the West. He’s not complaining about Christians in Politics, and he’s certainly not complaining about Jews, and he doesn’t seem concerned for any other non-Christian centric countries or Muslims countries, but he is concerned for Israel. Which brings me to Geert Wilders. *A five year moratorium on the immigration of non-Western foreigners who intend to stay in the Netherlands. Foreign residents will no longer have the right to vote in municipal elections. * A five-year moratorium on the founding of new mosques and Islamic schools; a permanent ban on preaching in any language other than Dutch. Foreign imams will not be allowed to preach. Although Wilders refuses to publicly discuss his family roots, an Anthropologist by the name of Lizzy van Leeuwen, in a recent Dutch publication revealed some insights following her research trip to Indonesia, which Wilder has not corroborated or rejected. So consistent with Jewish tradition, that would make Wilders' mother Jewish and himself, and as such eligible for the Jewish “Right of Return” to Israel. He volunteered in a Moshav or Kibbutz style establishment which likely means it was a “settlement” on Palestinian land outside of Israel proper. But Wilder takes no issue with usurping of land when it’s done by Jews. But Geert Wilders has so far refused to publicly confirm or refute van Leeuwen's research exposing Wilder's roots. 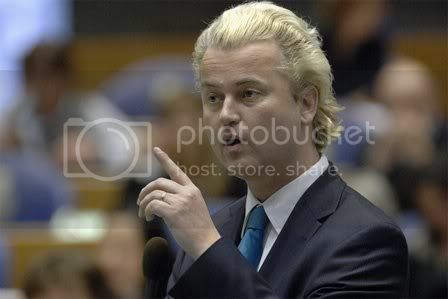 Just like Wilders' blond died hair, his roots eventually come out showing their true colours. This brings me to another friend of Israel, who also, like Cory Bernadi is an admirer of Geert Wilders. If you are in Australia or USA, you might not be aware that the resent Norwegian nut case Anders Behring Breivik, the bomber and shooter. Was such a man. In Breivik’s over 1500 page manifesto, he pays homage to Geert Wilders 30 times. If that ain’t good enough, you’re meant to burn his town and kill his cattle too Cardinal. My dear Cardinal; I shouldn’t make representations on another’s book if I were you, when you apparently don’t know your own… surely you know about “false witness”. Didn’t they do “compare and contrast” study when you went to the seminary? 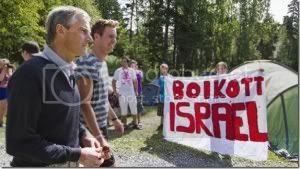 Although we were told by our Main Stream Media that the 60-80 youths Breivik killed were on a political camp, we weren’t told that they were protesting against Israel for a boycott in favour of Palestine. And neither were we told that he mentioned the word “Jews” 324 times, “Israel” 359 times. To validate these claims, click on the previous link and hit the search function at bottom. The tradition image of neo-Nazis as Jew and Black hating and lynching Germans, is quite different in reality. Today’s real Nazis are Muslim hating Friends of Israel and often Jewish too. Why even some of the most vigorous Nazi sites are pro Israel. What unites all these people, apart from their hatred of Islam; is one strong nationalistic identification with their common Nation of Interest, and it’s not a nation they commonly inhabit. The Nation which bonds them all is Israel. So next time you hear “your” political “representative” declare a loyalty for Israel, if nothing else, remember that.